Scroll down for more information about our camp offerings, or click below if you’re ready to enroll your little one in a summer of fun. Kids of all ages and interests will find their fit at a Bay Club camp. With camps for children as young as three years old, and educational and athletic camps for up to age 18, our camp programs include team sports, arts and crafts, cooking lessons, and more—all led by club-trained counselors. Interested in experiencing a day in the life at one of our camps? Join us for one of our complimentary Camp Open Houses, happening in the Bay Area, Los Angeles, San Diego, and Portland. This is a wonderful opportunity to learn about our different camp options, tennis and squash programs, and how to register. Plus, our Open House is packed with activities like inflatables, face painting, bubble stations, and mini tennis clinics. And we’ll have some light bites to keep our future campers happy. Click here for dates by region and to RSVP. For more information or to be connected with Camp Director email us at camps@bayclubs.com. 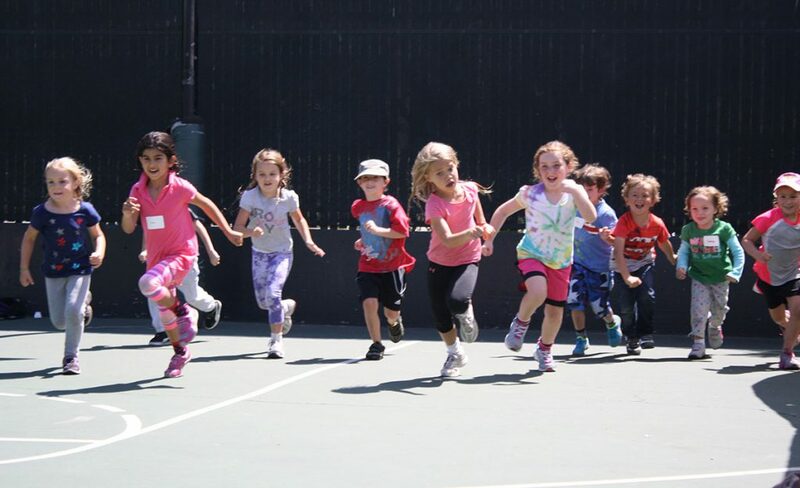 Whether you have a beginning tennis player, budding squash star, or little one who likes it all, our Marin Campus offers the following traditional and sports camp options. Once you’ve selected the camp for your child, simply click the Register Now button below to be taken to our Bay Club Connect portal to complete your enrollment. For more information about the below camps, click here. Each day will include an optional swim lesson/campers choice, arts & crafts, and an introductory tennis lesson. Our Aquatics staff will work with children to improve their confidence, so they can learn to become water-safe. (No swim experience is necessary.) Swim lessons include learning to hold their breath, blow bubbles, kick, and more. Our introductory tennis lesson will focus on building skills, having fun, and familiarizing campers with the sport of tennis. A peanut-free snack and lunch from SchoolFoodies.com are included. Child must be fully potty trained 6 months prior to the start of the session. We feature groups of up to 16 kids, organized according to age, that rotate through five daily segments of camp with their dedicated group leaders. Activity periods include the following for all sessions: TENNIS: Our tennis instructors will lead the kids in supportive, active instruction, including forehand, backhand, serves, and more. A balanced blend of drills and games keeps the kids engaged, as they develop a love for the sport. SWIMMING: Every camper enjoys pool time. 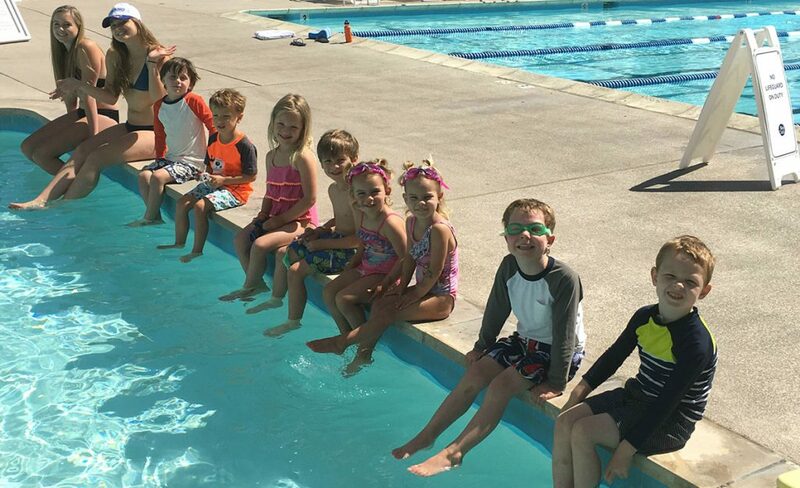 Whether your child is a beginner or swim team-ready, they will participate in a group lesson with a qualified instructor. We give campers the opportunity and direction to improve their stroke, increase their confidence, and hone this lifelong skill. SPORTS AND GAMES: Utilizing the Hal Brown Park at Creekside, campers enjoy a variety of sporting games. Inclusion, team work, and support are the backbone of this rotation, keeping sports fun without the pressure of competition. CREATIVE ARTS: Projects vary by age, including tie-dying, painting, beading, and clay play. CAMPERS CHOICE: One rotation a day, the camper gets to decide what they want to do. They can choose from board games, a bouncy house, and basketball—even some quiet time to read and relax. Lunch and snacks may be brought from home (no nuts, please) or campers may enroll in our daily lunch program, which is included in the cost of camp. Being a Counselor in Training (C.I.T.) can be a great way to transition from camper to counselor by learning job related skills for the future, demonstrating leadership, acting as a mentor, sharing responsibility, and strengthening communication. A C.I.T. leads by example. They engage, participate, and assure that all campers are having a great experience. For more information about the above camps, click here. To view a sample day at Tennis Camp, click here. Little Aces Tennis Camps are led by our tennis professionals with the Red Stage progression ball and focus on beginner up to young intermediate players. Students will improve their athleticism (balance, coordination, and agility), and develop tennis-specific skills including swing shapes, footwork, and simple tactics. As players move into competition they will work together as teams in a variety of activities that integrate control, placement, teamwork, and fun! Lunch is provided; however, campers should bring a nut-free snack and sunscreen for morning and afternoon breaks. During the afternoon session, kids will be scheduled to do a variety of activities. Each day after lunch, Full Day campers will have time in the afternoon for free play swim. Campers should be able to pass a water safety test to participate in Full Day Camp. Water safe is defined as the ability to swim 25 yards unassisted and tread water for 60 seconds. Swim Tests will be offered daily as needed. After a swim, kids will have the option to resume tennis or participate in alternate activities depending on energy level and enthusiasm. The afternoon is all about fun! The morning session will consist of a warmup period, athletic development drills, skill development drills, and age/skill appropriate games, including simulated match play. All instruction will be given by our full-time professional tennis staff. Students will improve their athleticism (balance, coordination, and agility), and develop tennis-specific skills including swing shapes, footwork, and simple tactics. As players move into competition they will work together as teams in a variety of activities that integrate control, placement, teamwork, and fun! Lunch is provided; however, campers should bring a nut-free snack and sunscreen for morning and afternoon breaks. During the afternoon session, kids will be scheduled to do a variety of activities. Each day after lunch, Full Day campers will have time in the afternoon for free play swim. Campers should be able to pass a water safety test to participate in Full Day Camp. Water safe is defined as the ability to swim 25 yards unassisted and tread water for 60 seconds. Swim Tests will be offered daily as needed. After a swim, kids will have the option to resume tennis or participate in alternate activities depending on energy level and enthusiasm. The afternoon is all about fun! 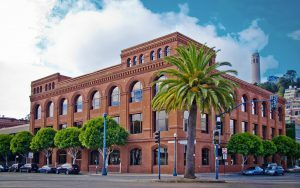 Our San Francisco Campus offers the well-rounded curriculum of traditional camps, as well as specialized sports camps for your little one. Once you’ve selected the camp for your child, simply click the Register Now button below to be taken to our Bay Club Connect portal to complete your enrollment. 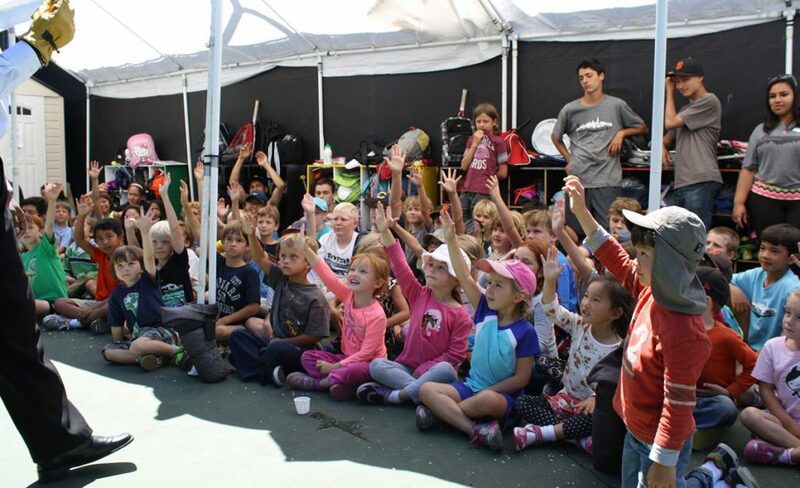 Our North Bay Squash Academy will offer 5 weeks of Camps to juniors this summer! This is a fantastic opportunity to get intensive coaching to improve Squash skills, strategies, fitness, technique and much more. The participants can range from beginners to advance levels. Each day will include a swim lesson, magical arts & crafts, story time, and an introduction to sports. Our Aquatics staff will work with children individually to improve their confidence, so they can learn to become water-safe. (No swim experience is necessary.) Lesson time includes learning to hold their breath, blow bubbles, kick, and more. A peanut-free snack and lunch from SchoolFoodies are included. SchoolFoodies’ menu features great tasting food, with options for picky eaters and those with dietary restrictions. All campers will receive a pre-determined meal each day, which includes a drink and side fruit or veggie. Or if your child has dietary restrictions, you can select a personal meal. 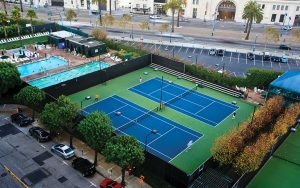 Located in downtown San Francisco, our facilities provide a beautiful outdoor setting for great summer fun. We feature groups of up to 15 kids, organized according to age, that rotate through five daily segments of camp with their dedicated group leader. Activity periods include the following for all sessions: TENNIS: Our tennis professionals will lead the kids in supportive, active instruction, including forehand, backhand, serves, and more. SWIMMING: Every camper enjoys pool time. Whether your child is a beginner or swim team-ready, he or she will participate in a group lesson with a professional instructor. SPORTS AND GAMES: Utilizing the vast greenery of nearby Sue Bierman Park, campers enjoy a variety of sporting games. CREATIVE ARTS: Projects vary by age, including tie-dying, stop motion animation, painting, beading, and clay play. CAMPERS CHOICE: One rotation a day, the camper gets to decide what they want to do. They can choose from board games, a bouncy house, and basketball—even some quiet time to read and relax. Lunch and snacks may be brought from home (no nuts, please) or campers may enroll in our daily lunch program, which is included in the cost of camp. On Fridays, we’ll fill the day up with special activities, including a fresh BBQ lunch and a secret surprise, plus there’s always a good chance of water balloons rocketing through the sky at any moment! Being a Counselor in Training (C.I.T.) can be a great way to transition from camper to counselor by learning job-related skills for the future, demonstrating leadership, acting as a mentor, sharing responsibility, and strengthening communication. A C.I.T. leads by example. They engage, participate, and assure that all campers are having a great experience. Tiny Tot Tennis Camps are led by our Tennis Professionals with the Foam Ball Stage progression ball and focus on hand-eye coordination. Students will improve their athleticism, balance, coordination, and agility. After tennis campers will explore new educational activities, including arts & crafts, games, and a variety of sports. The morning session will consist of a warmup period, athletic development drills, skill development drills, and age- and skill-appropriate games, including simulated match play. Lunch is provided; however, campers should bring a nut-free snack for morning and afternoon breaks. During the afternoon session, older and more skilled campers will continue to refine their technical skills, as well as participate in practice matches and mini tournaments. Younger campers will have their afternoon session tailored to their individual needs. The focus will still be on tennis; however, it may also include other sports and activities based on energy level and enthusiasm. The afternoon is all about fun! 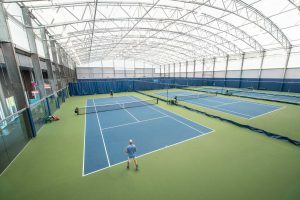 Crushers Tennis Camps welcome all skill and experience levels to participate—no prior tennis experience is required. Campers will be assigned to groups based on both age and skill by our tennis professionals. Daily sessions will consist of a warm-up period, athletic development drills, skill development drills, age-and-skill-appropriate games, and practice matches. Other sports and fun activities may be included, as we tailor this camp to fit all our future tennis stars! Designed for tennis players looking to compete in higher level tournaments and matches. This camp is academy-style training where all things required to be a competing tennis player will be covered. Daily sessions will focus on stroke production and development, movement, and situational training. Players will also participate in physical conditioning (strength, speed, power, flexibility) and mental conditioning techniques. Some sessions will focus on strategy and competition, where players will play points and practice matches applying lessons learned. 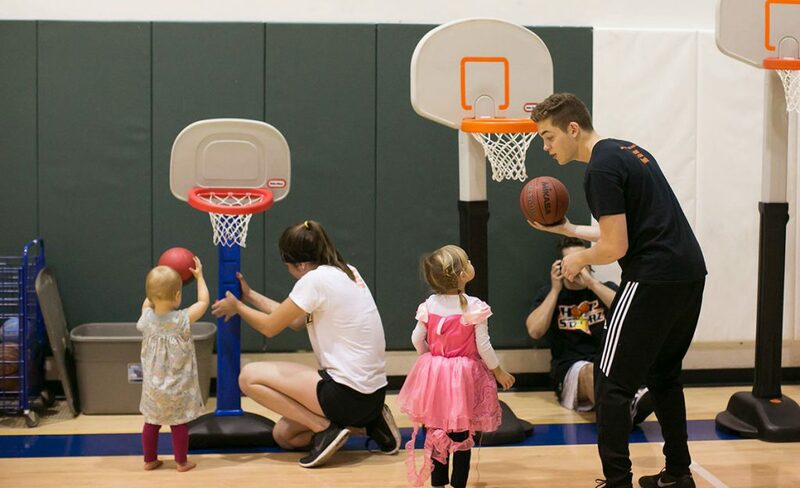 Whether your little one wants to try it all or hone their skills in one of our specialized sports camps, our Peninsula Campus offers both traditional and sports camp options. Once you’ve selected the camp for your child, simply click the Register Now button below to be taken to our Bay Club Connect portal to complete your enrollment. Led by our club tennis professionals, using low-compression tennis balls, this camp focuses on beginner up to young intermediate players. Students will improve their athleticism (balance, coordination, and agility), and start to develop tennis-specific skills, including swing shapes, footwork, and simple tactics. As players move into competition, they will work together as teams, in a variety of activities that integrate control, placement, teamwork, and fun! The half-day session will consist of a warmup period, athletic development drills, skill development drills, and age/skill appropriate games, including simulated match play. All sessions are led by our full time certified tennis professional staff. Campers should bring a nut-free snack as we will take a mid-morning break. Designed as an introduction to summer camp for your little one. Little Explorers is a half-day camp that gives your child an opportunity to learn & grow in a safe, fun and social environment. Campers do not need to be potty trained! Daily age-appropriate activities will include but are not limited to story time, art time, outdoor play, games, introduction to sports, puzzles, music time, bubbles, chalk play, and more! On Friday’s, the Little Explorers will head out to the Splash Pad Zone for fun water play. A peanut-free snack and lunch included. Your kids will explore new passions while having fun with a variety of weekly themed Each week of Summer Camp, your child will explore new passions while having fun with a variety of activities. Our campers are organized according to age, and rotate through different activities, throughout the day. Activities vary from arts and crafts, team building exercises, swimming, basketball, soccer, dance, martial arts, yoga; all designed to pique interest and strengthen the mind, body, and spirit. These tennis camps are designed to help juniors learn and improve their skills, so they can enjoy the sport for a lifetime. Your child will develop his/her hand-eye coordination, movement, and balance, as well as the fundamental strokes of the game. We use USTA’s Quick Start format, employing slower balls and smaller courts so that your child will be playing tennis in no time! These camps emphasize strategy, stroke execution, competitive drills, matches, and mini–tournaments. Using the USTA’s ROG Tennis, which includes slower ball speeds and smaller courts, this camp will greatly improve your child’s game. The program is based on Coach John Wooden’s book Inch and Miles: The Journey to Success. And our qualified and caring instructors not only teach children how to achieve their own success as tennis players but more importantly, the positive life lessons that sports can impart. Improve your squash game this summer with our Strikers Summer Squash camp. Open to beginner to intermediate players. Campers will learn both technique and strategy as well as work on physical fitness with fun footwork drills led by a team of top squash pros. Campers will be grouped by age and ability with all sessions adapted to the appropriate level. Non-marking shoes are required, and squash racquets, as well as eye protection, can be provided. From traditional camps that encourage active play and learning, to sports camps and specialty camps that encourage creativity, our East Bay Campus offers the following camps. Once you’ve selected the camp for your child, simply click the Register Now button below to be taken to our Bay Club Connect portal to complete your enrollment. 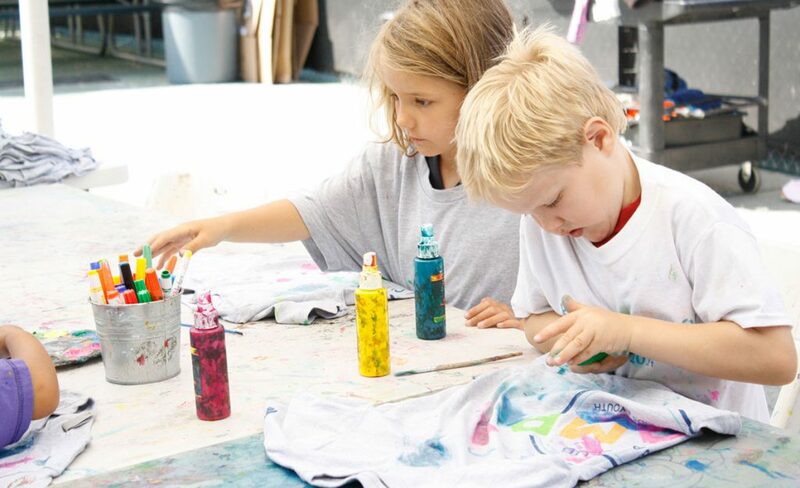 In this enriching and educational camp, campers will use their imagination and craft skills to create their very own one-of-a-kind masterpiece while receiving hands-on experience working with different materials and textures, including canvas, paint, wood, glue, fabric, paper and more. Got a curious camper on your hands? Get ready for them to discover their inner explorer in this awesome and creative camp. Campers will go to the extreme and get active with fun-filled activities, including science experiments, scavenger hunts, talent shows, superhero dress up. Calling all Princes, Princesses and Fairies for a magical week with Andrea Gaspari of Andrea’s Musical Adventures! Andrea will take your child’s imagination to an enchanted land filled with tiaras, knights, dragons and tea parties through storytelling, crafts, games, dress up and creative play. Children will create their own costumes and backdrop and learn songs in preparation for their very own fairy tale performance at the conclusion of the camp. Please note, this camp is available 7/15 – 7/19 & 8/5 – 8/9. Your camper will move and groove through various dance styles in this interactive and fun camp. Splash of Dance Styles is brought to you by All That Entertainment and gives campers the chance to try a sample of various dance styles including Jazz, Tap, Ballet, Hip Hop, Song & Dance and Pom Pom. Campers will also have the opportunity to create fun crafts and play games focusing on balance and coordination. Tennis shoes, socks and bare feet is all campers will need, but if you have other dance shoes, campers are welcome to bring them. Please note, this camp is available 6/24-6/28, 7/22-7/26. Each week of Kids Camp, your child will explore new passions while having fun with a variety of activities. Our campers are organized according to age, and rotate through different activities, throughout the day. Activities* vary from team building exercises like conquering an obstacle course to learning new skills, including sports, crafts and science skills. All activities are designed to pique interest and strengthen the mind and body. Snacks are provided. Please bring a lunch for your child, otherwise please pay for pre-set lunch from the Citrus Café. (*AM/PM activities may vary each day. Swimming is only offered in the PM camp and campers on Tuesday and Wednesday afternoons will have the option to use the new water slide). Designed as an introduction to summer camp for your little ones. Little Explorers Camp allows your child to enjoy the camp experience and participate in activities like circle time, games, crafts, songs, and more. Parents must remain on-site during this camp. Please note there is no extended care option available and a snack will be provided daily. Please note this camp is only available 7/29 – 8/02. Being a Junior Counselor in Training (C.I.T.) can be a great way to transition from camper to counselor by learning job related skills for the future, demonstrating leadership, acting as a mentor, sharing responsibility, and strengthening communication. A C.I.T. leads by example. They engage, participate, and assure that all campers are having a great experience. This camp will teach kids of all levels basic basketball skills through dribbling, passing, and shooting drills. Campers will learn one-on-one offense and defense tips and improve their competitive game skills in a supportive environment. Snack is provided. Improve your racquetball game this summer with our Racquetball Camp. Open to players with some prior experience. Campers will learn racquetball rules and skills while playing on indoor and outdoor courts. Skills include serving, backhand, forehand and strategy taught through both singles and doubles practice play. This camp prepares youth for continuing Club racquetball programs, which are offered year round. A daily snack will be provided. Our Intro to Racquetball Camp is perfect for campers without prior racquetball experience. Campers will be introduced to racquetball rules and skills, including beginning serving, backhand, forehand and strategy through singles and doubles practice play. This camp will help youth prepare for continuing Club racquetball programs offered year round. A daily snack is provided. Our Strength and Conditioning Camp is a fitness camp designed to encourage kids to have fun while improving their body and mind. Led by our Certified Personal Trainers, campers will improve core strength, speed, coordination, agility, flexibility and balance in an encouraging and supportive atmosphere of teamwork. Our Badminton Camp, held on indoor courts, introduces campers to badminton basics and covers rules and skills including backhand, forehand, and serving. Game strategy and practice play for both singles and doubles is also covered. A daily snack is provided and this camp may be combined with Adder camp for an all-day camp option. Our Junior Tennis Camp is designed for tennis players looking to improve their skills. Each day will consist of a warmup period, athletic development drills, skill development drills, and age- and skill-appropriate games, including simulated match play. Designed for tennis players looking to compete in higher level tournaments and matches. This camp is academy-style training where all things required to be a competing tennis player will be covered. Daily sessions are focused on individual needs and will focus on stroke production and development, movement, advanced footwork, game strategy, play tactics, and more. 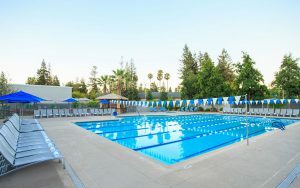 Perfect for swimmers who want to sharpen their skills but are not yet ready for the competitiveness of our swim team, our Summer Swim Clinic program will teach campers competitive swim strokes and improve their swimming technique. This program is offered Monday-Thursday for two-weeks and then concludes with a fun mock swim meet (Points are not kept and ribbons are awarded for each event entered). To participate, children must qualify by swimming two pool lengths without stopping. Space is limited and admission is offered on a first come, first serve basis; swimmers will receive a Bay Club swim cap. For children already enrolled in camp, see add-on swim clinic transfer option. Campers will explore the world of science in which we live in in Future Scientist Camp. In this educational and exciting camp, campers will learn basic principles of chemistry, physics, astronomy, oceanography and marine biology through fun experiments and guided exploratory play. A snack is provided and PM camp add-on is available. Got a superstar on your hands? Get ready for them to discover their voice in this fun and creative song and dance camp. Campers will be introduced to a variety of lyric styles and dance routines and conclude with a performance on the final day. This engaging and creative camp allows your little ones to shine! Please note, a daily snack is provided. If your child loves being busy in the kitchen, this is the camp for them! Each day, a new homemade from scratch recipe will be introduced and campers will learn how to plan, shop, measure, cut, mix, clean, and best of all, enjoy their creations. Bon appetit! Calling all future architects, builders, engineers and designers! Get ready for campers to have a blast creating and building with Legos in this specialty camp. Campers will improve their motor skills, expand their imaginations and learn about the importance of teamwork and communication skills as they work together to build a small city. Campers will also create a picture book to take home filled with a week of memories from Lego Camp. Each week of Kids Camp, your child will explore new passions while having fun with a variety of activities. Our campers are organized according to age, and rotate through different activities, throughout the day. Activities* vary from team building exercises like conquering an obstacle course to learning new skills, including sports and crafts. All activities are designed to pique interest and strengthen the mind and body. Please bring a snack and lunch for your child, otherwise please pay for pre-set snack and/or lunch from the Citrus Café. (*AM/PM activities may vary each day. Swimming is only offered in the PM camp). 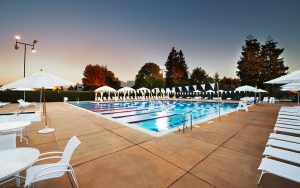 From traditional camps that encourage active play and learning, to sports camps that emphasize teamwork and sportsmanship, our Silicon Valley Campus offers the following camps. Once you’ve selected the camp for your child, simply click the Register Now button below to be taken to our Bay Club Connect portal to complete your enrollment. Each week of Summer Camp will include organized sports instructed by qualified coaches—with drills, scrimmages, and fun games in between. Activities will include basketball, soccer, tennis, swimming, and GroovYoga. Campers will also go through rotations of art projects, group games, and educational activities each day. And the fun won’t stop there! Every Friday campers will enjoy a special themed day—everything from Inflatable Friday, to Kids in the Kitchen—to get campers excited for the end of the week! Please note that 30-minute, small-group swim lessons will be included four days a week all summer. Other sports will rotate throughout the summer. 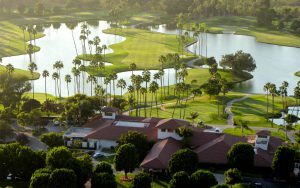 Bay Club Santa Clara Little Aces includes stroke progressions of all shots, footwork, introduction to rules, strategies, tactics, fun drills and games—on and off the court, and match play. We will be offering swim time in the afternoons. Sunscreen, peanut-free snacks, and lunch are included with tuition. Packing list: Swimsuit/swim trunks + goggles • Tennis racquet (if your child has one) • Athletic shoes with non-marking soles • Sunscreen (apply before arrival, and we’ll reapply throughout day) • Change of clothes (if needed) • Hat/visor and sweatband/hair ties • Extra snack (if needed) Remember, the fewer items you pack, the easier it will be for us to keep track of everything. 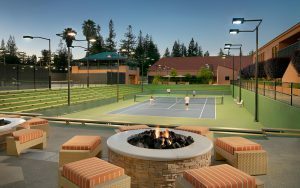 Bay Club Santa Clara Crushers includes stroke progressions of all shots, footwork, introduction to rules, strategies, tactics, fun drills and games—on and off the court, and match play. We will be offering swim time in the afternoons. Sunscreen, peanut-free snacks, and lunch are included with tuition. Packing list: Swimsuit/swim trunks + goggles • Tennis racquet (if your child has one) • Athletic shoes with non-marking soles • Sunscreen (apply before arrival, and we’ll reapply throughout the day) • Change of clothes (if needed) • Hat/visor and sweatband/hair ties • Extra snack (if needed) Remember, the fewer items you pack, the easier it will be for us to keep track of everything. This is a half-day camp for our youngest squashers, they will learn eye-hand coordination & most importantly have fun! They will also be introduced to mini-squash and hit with a sponge and mini orange ball. Camps will be led by a team of qualified squash pros from BCSC. The focus of the Elite Level Squash camp is on developing match play, strategy, tactics and advanced technique as well as mental strength and cross training. We will also look at different styles of play, deception, and holding shots. This will be run by our Bay club squash pros and special world-renowned squash professionals. Our San Jose Campus offers a variety of camps that are incredibly fun and profoundly enriching for your little one. Once you’ve selected the camp for your child, simply click the Register Now button below to be taken to our Bay Club Connect portal to complete your enrollment. Designed as an introduction to summer camp for your little ones, Little Explorers provides campers with a variety of developmentally-appropriate, themed activities. From the moment your Little Explorer arrives, our caring and qualified counselors will make each daily session safe and secure with plenty of smiles, games, and fun! Each day will include a swim lesson, arts & crafts, story time, and an introduction to sports. Our Aquatics staff will work with children individually to improve their confidence, so they can learn to become water-safe in the Baby Pool. (No swim experience is necessary.) Lesson time includes learning to hold their breath, blow bubbles, kick, and more. A peanut-free snack and lunch is included. Your kids will explore new passions while having fun with a variety of activities. Each day our campers are organized according to age, and rotate through 9 different segments, every 45-minutes. 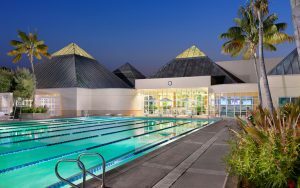 Activities vary each week from arts and crafts, team building exercises, swimming, basketball, soccer, dance, martial arts, yoga, and tennis; all designed to pique interest and strengthen the mind, body and spirit. Each week of Summer Camp will include organized sports instructed by qualified coaches—with drills, scrimmages, and fun games in between. Every Friday campers will enjoy a special themed day —everything from Inflatable Friday, to a Petting Zoo—to get campers excited for the end of the week! Please note that 30-minute, small-group swim lessons will be included four days a week all summer, Friday will be a free swim for Campers who are swim-safe. Little Aces Tennis Camps are led by our tennis professionals using low-compression tennis balls and focus on beginner up to young intermediate players Students will improve their athleticism (balance, coordination, and agility), and develop tennis-specific skills including swing shapes, footwork, and simple tactics. As players move into competition they will work together as teams in a variety of activities that integrate control, placement, teamwork, and fun! Lunch is provided (Full Day Only); however, campers should bring a nut-free snack and sunscreen for morning and afternoon breaks. During the afternoon session, kids will be scheduled to do a variety of activities. Each day after lunch, Full Day campers will have time in the afternoon for free play swim. Campers should be able to pass a water safety test to participate in Full Day Camp. Water safe is defined as the ability to swim 25 yards unassisted and tread water for 60 seconds. Swim Tests will be offered daily as needed. After a swim, kids will have the option to resume tennis or participate in alternate activities depending on energy level and enthusiasm. The afternoon is all about fun! Crushers Tennis Camp welcome all skill levels to participate- no prior tennis experience is required. Campers will be assigned to groups based on both age and skill by our tennis professionals. Daily sessions will consist of a warmup period, athletic development drills, age-and- skill- appropriate games, and practice matches. Other sports and fun activities may be included, as we tailor this camp to fit all of our future tennis stars! During the week, Courtside instructors and coaches will focus on fun, with technical instruction worked in. Each week has a stroke focus accompanied by technical swimming drills, and then fun and organized games such as Sharks and Minos, relays, and cannonball contests. This is a great combination for swimmers who would like to be more efficient in the water and have a ton of fun! 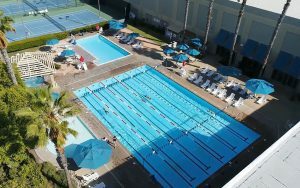 Splash and Swim Camp is recommended for children 6 – 10 years old who can swim 1 length unassisted across our 25-yard pool. A snack and lunch are included. What to Bring: swimsuit, goggles, swim cap. During the week, Courtside coaches will focus on competitive swimming through classroom learning, drill progression, starts and turns, and of course fun! Each week will have a stroke focus where swimmers will learn a sound technique to improve each stroke. This is a great way for your swimmer to get a competitive edge in the sport! Summer Stroke Camp is recommended for swimmers 8-16 years old who can swim 50 yards freestyle and 50 yards backstroke. A snack and lunch are included. What to Bring: swimsuit, goggles, swim cap. The Junior Lifeguard Camp emphasizes teamwork, leadership, and aquatic safety while introducing young people to safe marine and aquatic recreation opportunities. The program is designed to provide quality water safety education while improving young people’s physical conditioning, their understanding and respect for the environment, and their respect for themselves, their parents, and their peers. Students of all abilities and skill levels may participate. Lunch included. The camps of our Los Angeles Campus are designed to inspire confidence, kindness, and curiosity in our campers. Once you’ve selected the camp for your child, simply click the Register Now button below to be taken to our Bay Club Connect portal to complete your enrollment. Little Explorers is a half-day camp that gives toddlers an opportunity to learn & grow in a safe, fun and social environment. Campers do not need to be potty trained! Daily Activities will include but are not limited to: art time, outdoor play, water play, tennis lessons, puzzles, music time, bubbles, chalk play, and more! This summer marks the 23rd consecutive year that The Club will host its spectacular Do-It-All Camp. A wide variety of athletic activities will be used to improve self-esteem, social interaction & personal achievement. 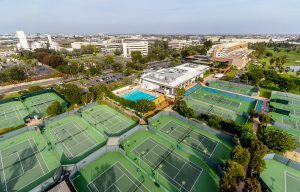 All children will receive Daily Tennis Instruction with Tennis Professional Kerry Giardino, along with a swim activity everyday & formal swimming instruction twice a week with a Swim Instructor. All Campers will experience a daily dose of fun, enriching activities such as tennis, swimming, sports, games, arts & crafts, themed activities & much more! Children must be potty trained to participate in this camp. We are pleased to bring back Hot Shots Summer Camp for 2019 at The Club! This is an athletic camp geared towards teaching the fundamentals and techniques of Tennis, Golf, and Swimming! All levels of play are welcome. Tennis Professional Nick Cote will be leading the tennis instruction which will use the USTA’s High Performance & Quickstart teaching methods. We will also incorporate many other indoor games and activities such as volleyball and the infamous “Pin-Ball Defense”! This one-week Junior Lifeguard Camp allows participants to improve their swimming skills and receive a basic understanding of water rescue, first aid, and CPR. Participants will learn lifeguard entries, approaches, and rescues for a variety of aquatic emergencies. The goal of the program is to develop a foundation of skills and knowledge for future Courtside lifeguards. This is not a certification program. Swimmers must be able to swim 50 yards of freestyle to be eligible for this program. Snack is included. 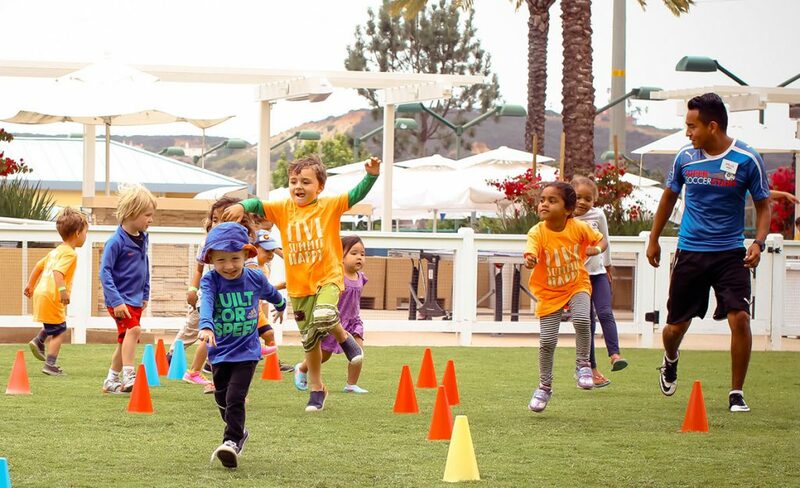 From traditional formats, to specialty themes, the San Diego Campus offers our most robust camp lineup for your little ones. Once you’ve selected the camp for your child, simply click the Register Now button below to be taken to our Bay Club Connect portal to complete your enrollment. Junior Golf, Tennis and Aquatics camp is comprised of a variety of activities and games used to teach your children the fundamentals and basic strokes of golf, tennis, and swimming. We focus on teaching them the basic rules, etiquette, and techniques so you can take your junior straight to the course, the court or the pool next time you play. Check-in will be from 8:45am – 9:00am and check out is 1:30pm-1:45pm. No Lunch will be provided. 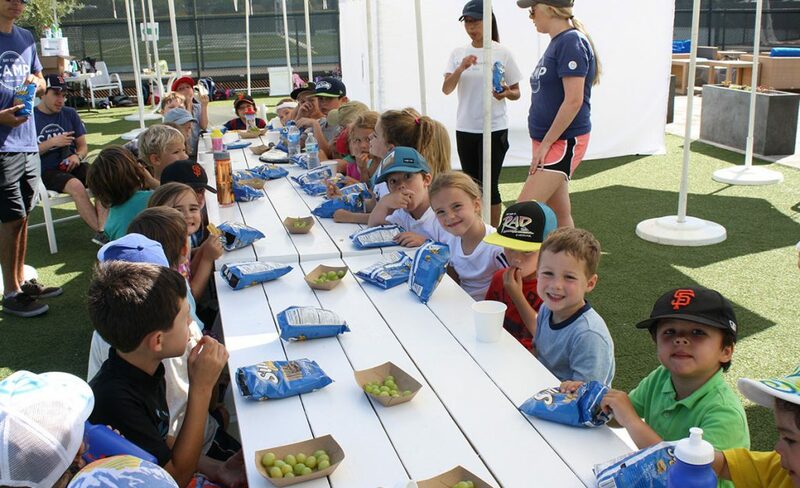 Fun Zone Camp – All Balls will be led by our Tennis, Sports field or Industry Professionals. Camp will be centered around ball sports promoting eye-hand coordination development. As always, team building, and sportsmanship will be a key emphasis for all campers. The final day will incorporate water elements to classic ball sports. This is a fun-filled camp that will keep campers active and always moving. A daily schedule will be provided at the start of the week detailing all activities per day. Swimming aspect every day so please bring swimsuit daily. Fun Zone Camp – Sports Aquatica will be led by our Tennis, Sports field or Industry Professionals. Campers will start each day with a 45 min “free swim” followed by an array of sports with different water elements, which are guaranteed to provide a safe and FUN environment for all campers. A daily schedule will be provided at the start of the week detailing all activities per day. Swimming aspect every day so please bring swimsuit daily. Fun Zone Camp – Sports Extravaganza will be led by our Tennis, Sports field or Industry Professionals. Campers will experience a multitude of sports activities which will improve overall athleticism (coordination, agility). Teamwork and sportsmanship will be the major emphasis throughout the week. A daily schedule will be provided at the start of the week detailing all activities per day. Swimming aspect every day so please bring swimsuit daily. 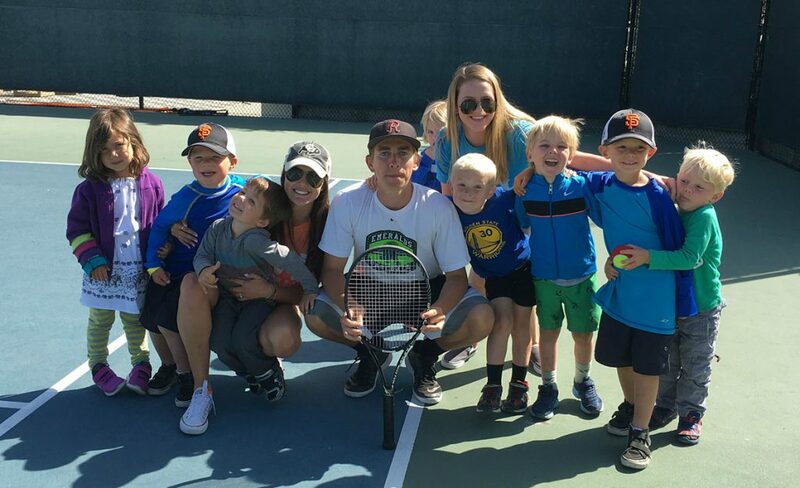 Little Aces Tennis Camps are led by our tennis professionals using low-compression tennis balls and focus on beginner up to young intermediate players. Students will improve their athleticism (balance, coordination, and agility), and develop tennis-specific skills including swing shapes, footwork, and simple tactics. As players move into competition they will work together as teams in a variety of activities that integrate control, placement, teamwork, and fun! Campers should bring a nut-free snack and sunscreen, as there will be a mid-morning break. The full-day session will consist of a warmup period, athletic development drills, skill development drills, and age/skill appropriate games, including simulated match play. 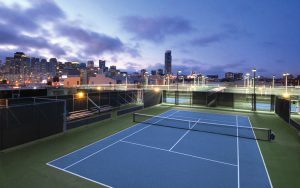 All sessions are led by our full-time certified tennis professional staff. Campers should bring a nut-free snack as we will take a mid-morning break. In our summer workout, the players will train the technical aspect of their game in specific hand-fed drills and we will follow with some match play or strategy-related games in which they will use their technique to achieve certain strategies. We will also be challenging the players with some agility and speed training to get them ready for specific tournaments and/or school tennis season. To learn more about the below camps, click here. Designed as an introduction to summer camp for your little ones, Little Explorers provides campers with a variety of developmentally-appropriate, themed activities. From the moment your Little Explorer arrives, our caring and qualified counselors will make each daily session safe and secure-with plenty of smiles, games, and fun! 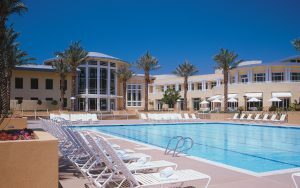 Each day will include water play, arts & crafts, and an introductory tennis lesson. A peanut-free snack and lunch is included. 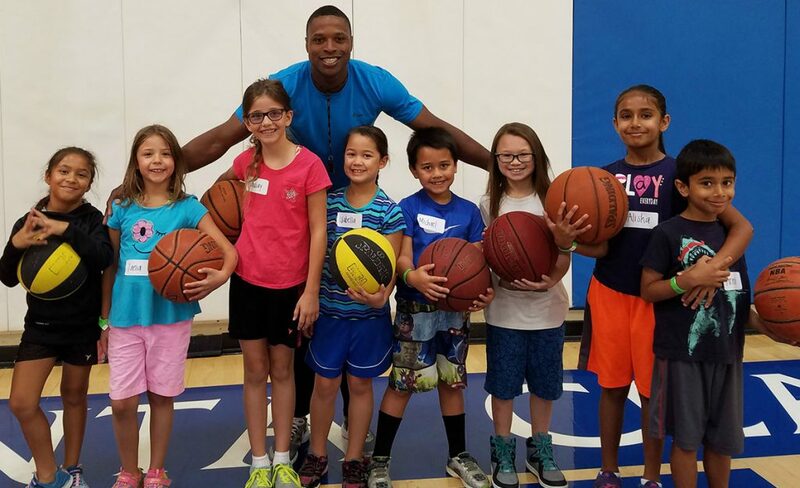 Each week of Summer Camp will include organized sports instructed by qualified coaches—with drills, scrimmages, and fun games in between. Activities will include soccer, tennis, swimming, and Hip Hop. Campers will also go through rotations of art projects, group games, and educational activities each day. And the fun won’t stop there! Every Friday campers will enjoy a special themed day—everything from Inflatable Friday, to Kids in the Kitchen—to get campers excited for the end of the week! Please note that 30-minute, small-group swim lessons will be included four days a week all summer. Snack and lunch are included for Full Day and Morning Half Day Campers. Swim lessons will be provided to campers who attend full-day and morning half-day sessions. Hip-hop instruction and daily tennis lessons will be provided to campers who attend full-day and afternoon half-day sessions. To learn more about the above camps, click here. The favorite from 2018 is back! Students use a green screen, camera tricks & FX to create their own live-action action adventure movie. They’ll collaborate to write, act, & direct in this action-packed movie where kids will be taught action choreography to thrill the audience. Movies will be available for download 1 month after the program ends. Kids love Minecraft! New for 2019 – more set design features like lava-rivers and torches! Using stop-motion animation students will bring Steve, Alex, and more to life in movies they’ll storyboard, shoot and voice-over in age-appropriate groups. Movies will be available for download 1 month after the program ends. Students use a green screen, camera tricks & FX to create their own live-action action adventure movie. They’ll collaborate to write, act, & direct in this action-packed movie where kids will be taught action choreography to thrill the audience. Kids love Minecraft! New for 2019 – more set design features like lava-rivers and torches! Using stop-motion animation students will bring Steve, Alex, and more to life in movies they’ll storyboard, shoot and voice-over in age-appropriate groups. Movies will be available for download 1 month after the program ends. 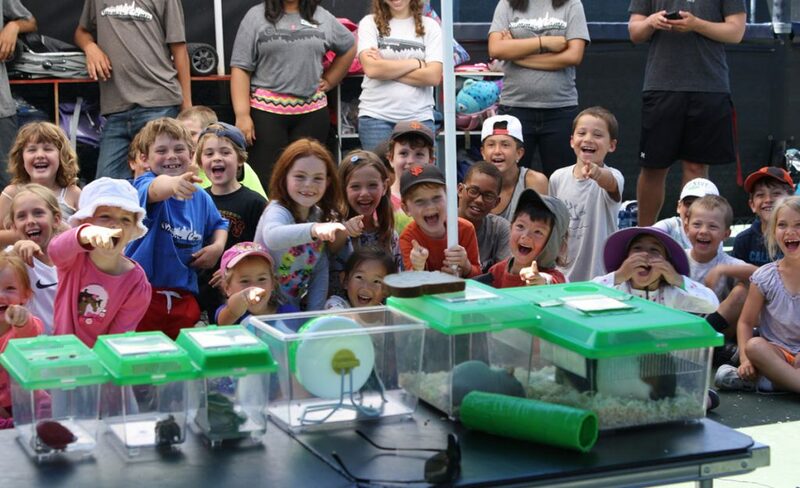 Mad Science summer camps and vacation programs give kids the opportunity to learn about science through our interactive and hands-on science activities. Join Mad Science for an introduction to robots! Throughout the week, campers will become robot engineers as they build a unique motorized robot that transforms into four unique creatures, each increasing in difficulty. Step into the garden to learn about soil, seeds, and sprouts in this camp that’s sure to inspire your budding gardener. Examine fruits, vegetables, plants, and leaves and learn about the interesting variety of creatures that live in and help your garden grow. Ahoy Mateys! Come Aboard as we travel to Pirate Island where we’ll find treasure chests, sandy beaches, colorful parrots and lots of fun and adventure! Discover octopus, turtles, sharks, stingrays, jellyfish, and sea stars in this art camp devoted to the underwater world! Join us as we paint, print, collage, stamp, stick, and sculpt as we create artwork inspired by our ocean environment! Along the way, we’ll read stories and play games and have a whale of a time! Paint, sculpt, draw, watercolor, collage, print, and design! It’s crazy creativity in this multi-media art camp! Let your imagination run wild with crazy creativity! Play-Well TEKnologies provides project-based programs designed to teach principles and methods of engineering to children ages 5–14, using LEGO materials. Master the magic of Harry Potter using LEGO®! Build Diagon Alley in preparation for your trip to Hogwarts School of Witchcraft and Wizardry. Hop on your Broomstick and play Quidditch, and hone your magical skills while learning about advanced Muggle (STEM) concepts. Bring Minecraft to life using tens of thousands of LEGO® parts! Build engineer-designed projects such as a motorized Creeper, a portal to the Nether, and a moving Minecart! The full-day session will consist of a warmup period, athletic development drills, skill development drills, and age/skill appropriate games, including simulated match play. All sessions are led by our full time certified tennis professional staff. Campers should bring a nut-free snack as we will take a mid-morning break. Swimming is a fun and relaxing activity that all ages can enjoy. Campers will learn basic swimming as well as develop fundamental lifeguard skills that will make sure they are water safe for your next vacation! Our trained Aquatic instructors will provide an easy to learn aquatic experience and underwater aquatic fun through waterbed games and activities. Aquatic Splash camp is recommended for children ages 6-12 years who can swim 50 yards. Snack included. Keep your strokes in perfect form with Summer Stroke Camp. Coaches will focus on each axis of a stroke. Swimmers will learn the importance of swimming technically sound strokes by utilizing proper head position, body position, distance per stroke and foot speed. Participants will explore a series of drill progressions, underwater work and turns during the week. Our camp includes underwater video footage of your swimmer. Swimmers must be able to swim 50 yards freestyle and 50 yards backstroke to be eligible for this program. Our Oregon Campus offers a variety of camps that are incredibly fun, active and educational for your little one. Once you’ve selected the camp for your child, simply click the Register Now button below to be taken to our Bay Club Connect portal to complete your enrollment. Have fun in the sun then get ready to splash around! 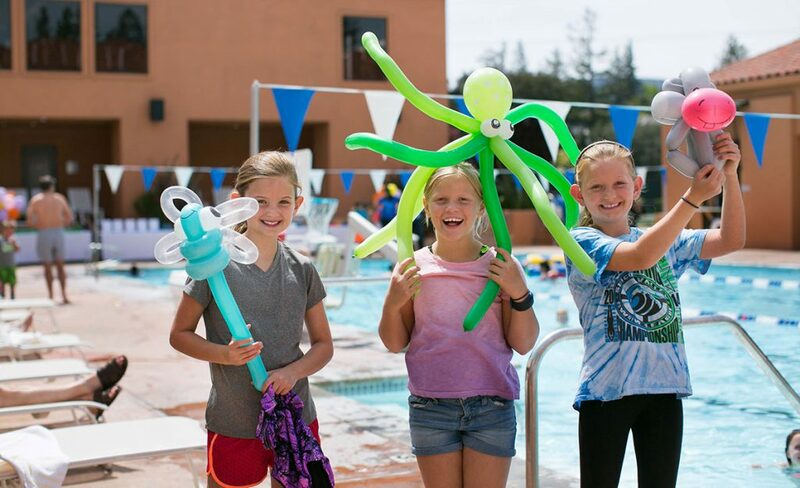 Our aquatics camps include dry land crafts and activities followed by swim instruction and water playtime. Each day campers will participate in dry land activities based on their specific camp theme (e.g. crafts, activities, movie, etc.). Once dry land activities conclude, campers will head to the indoor pool for swim lessons for 45 minutes to 1 hour. For the safe swim camp, campers also practice the safety guidelines they learned about in the classroom portion). 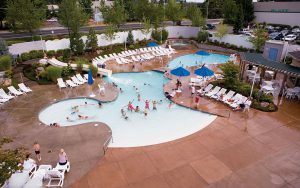 After the campers finish their swim lessons, they can spend the remaining time playing in the indoor or outdoor pool. 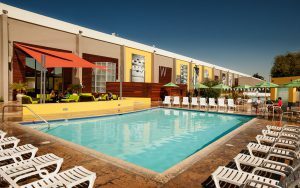 Pick-up is at 4:00 pm by the pool. Please note, during the movie/video time, campers are welcome to eat their snack that they brought from home. Our sports and activities camp is an action-packed day from the start. When campers arrive, they play court games until they break for a snack. After they refuel, campers have free swim in the outdoor pool until lunchtime. The rest of the afternoon is spent rotating between court games, crafts, and rock climbing before concluding the day with an afternoon snack and an exciting and fun group game of dodgeball. Our Steve Blake Basketball Camp gives campers the opportunity to receive high-level instruction from 13-year NBA Veteran Steve Blake and his coaches. This is a fantastic opportunity to receive personalized coaching and feedback from an NBA pro and allows campers to improve their basketball skills and participate in numerous games on the court. Steve and his coaches will be on the court the entire duration during this high-energy basketball camp. Campers will also have the opportunity to play with other Pros through guest appearances and have a personal autograph session with Steve. All participants will receive a camp t-shirt and are asked to bring a healthy lunch and snack each day. Please note, this camp is available August 6 – 8, 2019 only. The perfect camp for adventurous climbers, our Anti-Gravity Summer Climbing Camp encourages campers to reach new heights through climbing-related activities, including obstacle courses and rope swings. Each day begins with a high-energy warm-up game, followed by a review of the rules and a quick stretching session. Campers are then allowed an hour of rock climbing on any of the walls. After a quick snack break, campers can choose to continue individual rock climbing or participate in an organized game, such as a rope swing or obstacle course. Instructors will keep campers busy and active in this engaging and educational camp. Join local LEGO model maker Blair Archer for a Brick-Tactic summer camp where you can build to the limits of your imagination using thousands of LEGO elements! Embark on a journey of Ep-Brick proportions as you create worlds full of magic and mystery using countless LEGO bricks and characters. Please note this camp is available 6/24 – 6/28, 7/22 – 7/26, and 7/29 – 8/02 and sessions can be extended to be full day. Certified Red Cross Instructor will be teaching participants with a combination of online and classroom blended learning curriculum. Camp fee includes: Pediatric First Aid/CPR and Babysitting Certification from Red Cross for all Campers passing the classroom course as well as a copy of the ARC Babysitter’s Training Handbook. Participants will learn how to respond in an emergency, leadership skills, how to keep children safe and ways to help children behave, lists of games and activities to entertain children of all different ages and stages of development. Improve your game and have serious fun at Nike Volleyball Camps Campers at these summer volleyball camps benefit from the small group size and dedicated coaches who truly love the sport and love sharing their knowledge of the game. Campers must pre-register for all NIKE VB Camps online or by calling 1-800-NIKE-CAMP. This camp is designed just for girls ages 7-12 who want to learn more about fitness and health in a fun and safe environment. The girls will learn about eating healthy and ways to take care of their bodies. This camp uses fun games, crafts, and activities to learn more about nutrition and promoting a healthy body image. Please bring a healthy snack. Join personal trainer and EDGE coach Shoshana for an athletic camp that fuses court games, SAQ (speed agility quickness) training, swimming and rock climbing with mental toughness training. We will also discuss healthy ways to fuel our bodies for exercise and feel prepared in whatever sport we play. Co-ed. 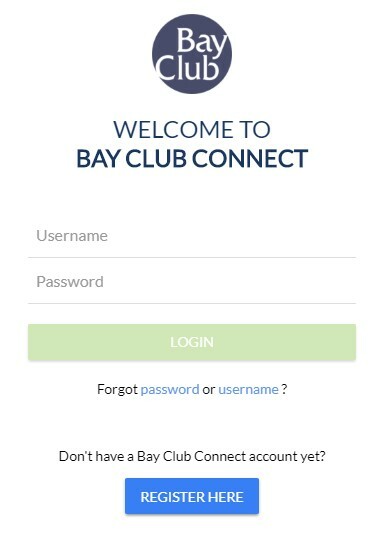 A Bay Club Connect account is required to browse all camp details and complete your camp purchase. Bay Club members and non-Bay Club members can register for an account. To get started with registration, click on the "Register here" link on the login page. “Bay Club Kids Camp is the best! We have tried several camps, and this is seriously the best – both the value and the amount of fun our kids have. All of the Associates are so friendly and approachable. This is the third summer my eldest daughter has attended and every summer we both look forward to Bay Club Kids Camp! I know she’s busy having fun in the sun and she enjoys making new friends, swimming and doing crafts. My 3 year old attended for the first time as well and she loves it! 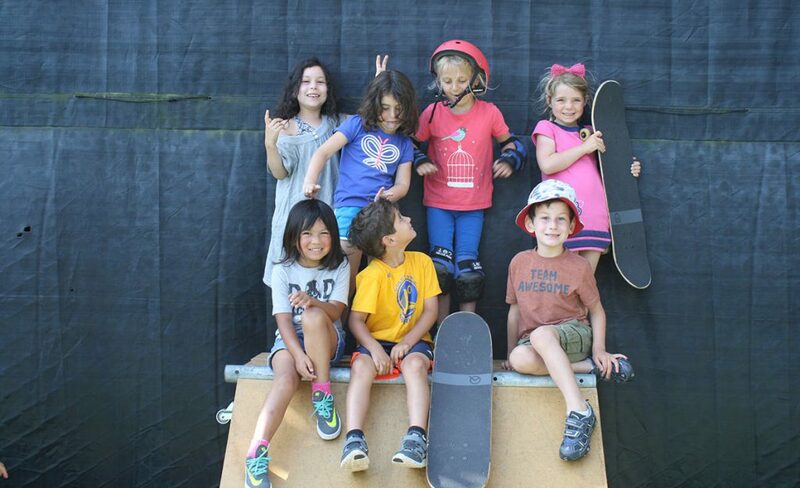 We look forward to many more summers at Bay Club Kids Camp!"